Not every shoot goes according to plan. You can prepare, and plan, and it’s always the thing you weren’t expecting that will come up to bite you. 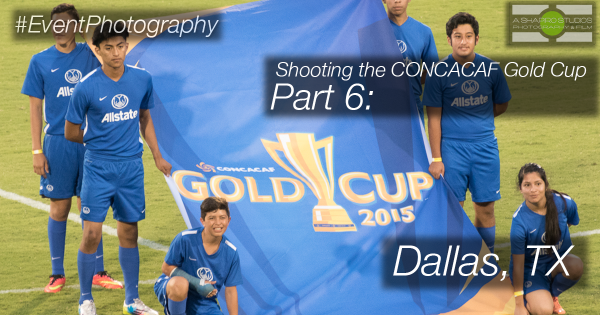 Like I mentioned in Part 4, even tho this blog series is called “Shooting the CONCACAF Gold Cup,” Dallas – the 3rd shoot in the run – is the first shoot that’s a Gold Cup match. 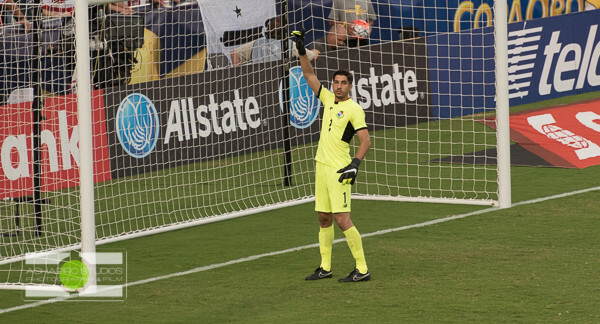 There were 2 matches that day, to be specific, but it’s the first day in the CONCACAF environment. And… it was slow. The event site was slow, and because of a mixup, my press credentials weren’t approved so I couldn’t shoot from the field level. Further complicating matters, there was a rain storm just as our client’s event (and the rest of the fan village) was getting started, the village itself was on the opposite side of the stadium from the main fan parking, and the entire fan village was fenced off (making it look like an exclusive VIP event). We were slow. Easy. Use your creativity to capture as much as possible. See the upside and shoot what’s available. Take the opportunity to shoot posed photos of the ambassadors, stock photos of the production elements… the stuff you can’t shoot when there’s 10,000 people around. Toyota Stadium in Frisco – a suburb north of Dallas – is the home of FC Dallas, an MLS team. It’s not a huge field and stadium security is fairly lax, so I was able to get into the stadium using a ticket with a long lens (a luxury I wouldn’t have in Chicago or Phoenix), so was still able to get some valuable material for the client. It’s the nature of events. No matter how much you plan or prepare, there are always last-minute changes – and that’s why I love being an event photographer. 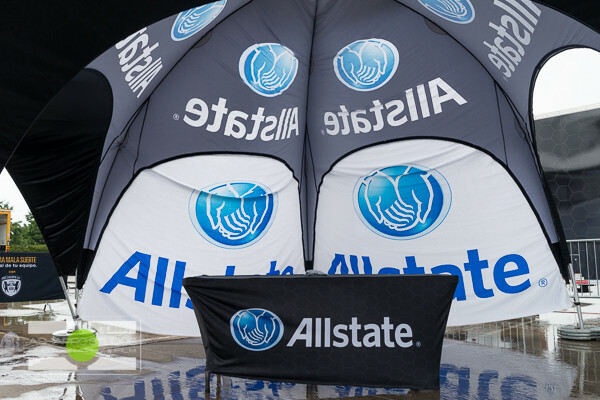 See the entire collection of the 2015 CONCACAF Gold Cup in Dallas, TX here, and on to Chicago!